The meeting point for women in tech and allies interested in working in Startups from Barcelona. SheStartup is here! An initiative by BStartup Banc Sabadell and AllWomen to get more women in tech working in the top startups from Barcelona. More than a party, more than a networking event, more than a job fair… Are you gonna miss it? No way! SheStartup will happen on Wednesday February 13th from 17h to 21h @ Casa Bonay (Nica Space), Gran Via de les Corts Catalanes 700, Barcelona. You will have the opportunity to meet the coolest startups in the city thanks to BStartup – Banc Sabadell. Experts from Wallapop, Holaluz, Badi, Red Points, Signaturit, Adsmurai, Cooltra and Glovo will be sharing some of their “tech and/or digital secrets” in a format of short masterclasses, while they introduce their projects, business models and talent needs… Join them to be part of this new Startup #girlgang in Barcelona! BStartup Banc Sabadell and with AllWomen have created this women-friendly meeting point in order to close the gender gap in the tech sector by sharing with the community open positions and talent needs from top startups. At the same time, all of us will be eager to hear from you, woman, about your expectations, desires and what you have to offer as a digital and/or tech profile. Let’s exchange ideas, insights and create a diverse entrepreneurial ecosystem all together! Not only, but mostly. If you are a man willing to bring more women in the tech and digital scenario in Barcelona, this event is also for you. You will be more than welcome! During all the event you will have the opportunity to talk with different team members from all these startups, share with them your thoughts or concerns, or even deliver your CV! The BStartup program is a Banco Sabadell initiative to support young companies in developing their projects with the maximum guarantee of success. They provide Investment, Collaborative Innovation and Specialised products and branches to support entrepreneurs so their projects can be developed with maximum guarantees of success. Discover everything about BStartup here. SheStartup es una iniciativa de BStartup de Banco Sabadell y AllWomen para fomentar la incorporación de mujeres tecnólogas a los equipos de las startups más punteras de Barcelona. Se trata de mucho más que una fiesta, que un evento de networking o que una feria de empleo… ¿Te lo vas a perder? ¡No nos gustaría! SheStartup tendrá lugar el miércoles 13 de febrero de 17 a 21 h en el espacio Nica de la Casa Bonay de Barcelona (Gran Via de les Corts Catalanes 700). En la jornada, tendréis la oportunidad de conocer a las startups más destacadas del ecosistema de la mano de BStartup – Banc Sabadell y AllWomen. Durante 4 horas, expertas y expertos de Wallapop, Holaluz, Badi, Red Points, Signaturit, Adsmurai, Cooltra y Glovo presentarán sus “secretos tech y digitales” en formato de “mini masterclass”, a la vez que nos contarán sus proyectos, sus modelos de negocio y sus necesidades de talento. ¡Únete a ellas y entra a formar parte de esta generación de Women in Tech de Barcelona! Los perfiles que buscan son muy diversos: desarrolladoras full stack, desarrolladoras web/front-end, desarrolladoras back-end, desarrolladoras mobile, científicas de datos o data scientists, gestoras de producto o product managers, UX/UI, social media managers, diseñadoras, perfiles de marketing digital & intraemprendedoras. Desde BStartup Banc Sabadell y AllWomen hemos querido crear este espacio “women-friendly” para reducir la brecha de género en el sector tecnológico compartiendo con la comunidad tech y digital de mujeres de Barcelona las ofertas de empleo y posiciones abiertas de startups de referencia. Al mismo tiempo, queremos dar voz a las asistentes para escuchar vuestras expectativas, necesidades, sueños… y todo aquello que tienes para ofrecer desde tu experiencia tech y digital. ¡Vamos a intercambiar ideas, a reflexionar y a crear un ecosistema emprendedor diverso todxs juntxs! ¿Este evento es solo para mujeres? No solo pero sí principalmente. Si eres un hombre que comparte nuestro interés en lograr que haya más mujeres en el sector tech y digital de Barcelona… ¡este evento también es para ti! Te esperamos. Durante todo el evento tendrás la oportunidad de hablar con diferentes integrantes de nuestras startups, compartir tus reflexiones o inquietudes con ponentes y asistentes e incluso entregar tu CV. BStartup Banc Sabadell -the promoter of this initiative- together with AllWomen have created this women-friendly meeting point in order to close the gender gap in the tech sector by sharing with the community open positions and talent needs from top startups. At the same time, all of us will be eager to hear from you, woman, your expectations, desires and what you have to offer as a digital and/or tech profile. Let’s exchange ideas, insights and create a diverse entrepreneurial ecosystem all together! 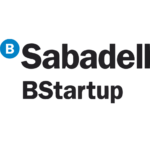 The BStartup program is a Banco Sabadell initiative to support young companies in developing their projects with the maximum guarantee of success. They provide Investment, Collaborative Innovation and Specialised products and branches to o support entrepreneurs so their projects can be developed with maximum guarantees of success. Discover everything about BStartup here. Adsmurai is a technological startup focused on the progress of brands in digital advertising through the automation and optimization of social media campaigns. Founded in 2014 by Marc Elena, Otto Wüst and Juan Antonio Robles, it is one of the few companies in the world that is an official partner of Facebook, Instagram, YouTube, Twitter, SnapChat and VKontakte (the Russian Facebook). It has 6 offices in 3 continents, leading its expansion in Latin America from Mexico and Colombia. It is invested by the Axon fund (through its ICT III growth fund), Banc Sabadell (finalist in the BStartup acceleration program) and Enisa’s public financing. The company manages advertising campaigns worth 200 million Euros in sales for well-known Retail and CPG companies. 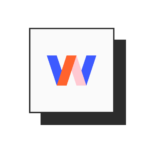 The current portfolio includes technology to optimize advertising on social networks (Ads Optimization), to take advantage of user-generated content (Visual Commerce) applying Artificial Intelligence, and to automate catalog customization by scaling dynamic ads (Feed Composer). Founded in September 2015 in Barcelona, Badi is compounded by a committed premier league team of designers, architects, scientists, storytellers, executors & creators. Our mid/long term room rental marketplace simplifies urban living by matching rooms, tenants & landlords through meaningful connections making city living accessible for everyone, everywhere. We believe that AI and UX/UI will define the proptech industry and we are on our way to reshape the Real Estate Market worldwide. Badi was born to provide a solution to the growing needs of the entire “millennial” generation, who have found themselves with no other option but to share a flat when living in large cities as a result of ever-rising house prices. In doing so, they are contributing to various new models of co-living that makes living in these key cities affordable. Focused on the technological revolution currently taking off in the rental market, Badi is the first PropTech startup to implement artificial intelligence, and uses selection algorithms and filtering techniques to guarantee a high level of matches, helping users find the ideal flatmate and a room quickly and easily. #1 Create a product that people love. #2 Reshape the Real Estate market. Cooltra was established in Barcelona in 2006 as a new concept of mobility: on two wheels and per days. Since then the company has been constantly growing and has now become a European leader in mobility solutions on two wheels. They are dedicated to scooter rentals for days, months and, also, to rental services for big and small businesses. Throughout these 12 years Cooltra set up companies of ecoScooting, the first sustainable courier enterprise on two wheels and eCooltra, the biggest European scooter sharing service with a presence in five cities. At present, more than 570 people work every day to provide with the best service with a fleet of 15.000 scooters (5.000 of which are electric), presence in 6 countries, 20 in-house delegations and more than 100 rental points in the South of Europe. Glovo is a Barcelona based tech start-up that is transforming the way consumers access local goods, enabling anyone to get nearly any product delivered in less than 60 minutes. We thrive to make everything in cities immediately accessible. It’s like a new personal courier available to everyone that runs your errands immediately and on demand. They’re rapidly growing and are now present in more than 17 countries all over Europe, Latin America, Africa, and Asia. But that’s just the start, with your talent onboard we’ll be a rocket aiming to the moon! Created in Barcelona with the desire to change the world, in Holaluz they have been working since 2010 to lead the transformation of the energy sector by putting the customer in the center of their decisions and building a long-term relationship with him based on trust. Their challenge is to create a mainstream system that becomes a new standard for people’s life based on the levers of rational use of energy, storage and self-production. They want to accompany their customers on the journey to a new sustainable model where they will manage and own their green energy, becoming prosumers instead of consumers. Within this strategy, Holaluz has become the first European electric company to receive the B Corp certification, a seal that encompasses more than 2,400 companies from 50 countries and whose objective is to give visibility to companies that, beyond generating economic profits, innovate to maximize their positive impact on employees, the communities where they serve and the environment. Being our mission to provide the leading technology for managing the whole lifecycle of contracts, we are leading the way to further implement and enhance the use of trust electronic services – electronic signature, certified email and electronic identification – in private companies throughout the European Union and beyond. Last year we closed our second financial round – €2.8M- and right now we are one of the hottest startups in southern Europe. In 2019 our main goal is to strengthen our market-share in this area, and to keep growing in northern European countries, especially in Germany and France. Working with us is highly challenging and rewarding at the same time. Are you a hands-on type of person, a curious mind, someone who is constantly learning, and eager to take on new challenges? If yes, check out our open job positions and apply. Red Points was founded by Intellectual Property Lawyers in 2012. In 2014, under Laura Urquizu’s guidance as the CEO, the company expanded to protect trademarks and shifted to the current SaaS model; since then Red Points has grown exponentially. Through her leadership, the company has been able to build an impressive technological product and develop a strategic business model along with an expert team around it. Wallapop is the place to find what you’re looking for and sell what you no longer need. Wallapop is making your move easier. It’s fulfilling your New Years resolutions and regaining lost hobbies. Or finding a painter for your next home. Did you know you can also use it to find your next home? Wallapop is lightening your load and living with fewer things. Wallapop is making friends. Wallapop is the platform where the second hand becomes a better option than the new. Don’t miss any massterclass and the opportunity to talk to your favourite startups in Barcelona! See you at Casa Bonay, Gran Via de les Corts Catalanes, 700, 08010 Barcelona – Nica Space.